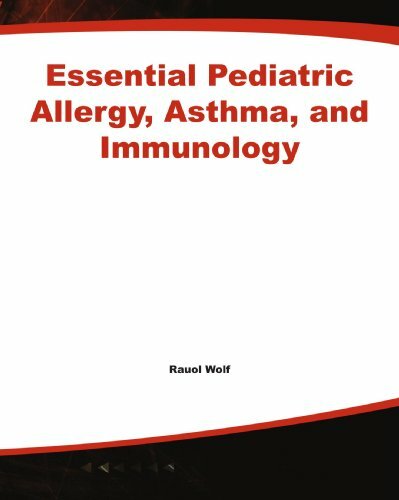 A practical and concise guide to the assessment of allergic disorders, congenital immunodeficiency, and asthma in the child and adolescent. Focuses on the approach to diagnosis and treatment of childhood asthma, which is an increasing problem in general pediatrics. Featuring tables, bulleted lists, and a drug formulary, this book provides a quick but substantial reference to practitioners and residents. At last, here's a practical, concise, and easy-to-use guide for the diagnosis and treatment of asthma, allergic disorders, immunodeficiencies, and disorders of immune function in the neonate, child, and adolescent. Written and designed especially for use by the practitioner in general practice, an effective combination of concise text and useful summary features allows you to quickly assess and interpret presenting signs and symptoms and formulate an effective plan for management. Allergic and immune deficiency disorders can be difficult to assess and manage. With its easy-to-use format, this handy reference provides practical, authoritative guidance to lead you quickly to an accurate differential diagnosis and effective management strategy. Dr. Wolf directs the section of allergy and immunology for a premier children’s hospital/academic medical center. He has contributed chapters on related subjects to many standard pediatrics textbooks. This will be his first book as chief editor.